Do you know how many fountains are in Rome? No city in the world can count a number of fountains such as Rome. They have always been a characteristic element which, since ancient times, have contributed to enriching the artistic and cultural heritage of the capital city. 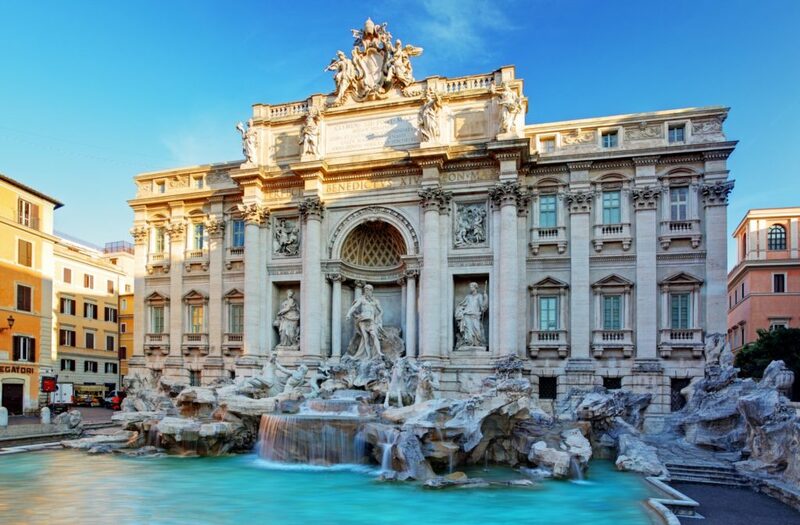 At the time of the ancient Romans, the authorities at the helm of government, chose the Roman fountains as a symbol to link their name to eternal memory. The Roman fountains are enclosed in elegant courtyards, scattered in the parks of ancient and noble villas, sometimes they are hidden in the alleys of the city, isolated and solitary in small urban parks or they are the absolute protagonist of the squares. Roma Luxury will take you around tour in an exclusive tour of all the known and lesser-known fountains of Rome, in a Dolce Vita syle. Roma Luxury wants to show you the special places, where Rome made the heart of many beat for life and where the eternal beauty blends with the cultural and artistic richness in to a timeless charm. Do you know what the fountains symbolize ? Just a bit of history: Bernini’s masterpiece creation: the Four River Fountain, was built for Innocent X, who wanted it in the center of Piazza Navona,right in front of the artist’s main rival’s Church, do you know who was he ? Four River Fountain in Piazza NavonaA curiosity that Roma Luxury wants to underline regards an enjoyable dispute between two of the most important art figures of that time: Bernini and Borromini. It seems to be that one river of the fountain, Rio de la Plata, seems to protect himself from the possible fall of the church designed by Borromini and The Nile would conceal its head with a veil not to see Borromini’s ‘horrible work’. It’s Trevi’s Fountain, the largest Baroque fountain of Rome. Its view will leave you speechless, you will be enraptured by its beauty and its colossal structure. This Roman fountain has ancient origins, we must go back to 19 B.C. and to Emperor Agrippa which led to fuel its thermal baths in Rome with an aqueduct. At that time the fountains was made up with three tanks built onto a building. Its imposing figure, as we know today, we owe to pope Clemente XIII, the roman architect Nicola Salvi and Giuseppe Pannini. This monumental fountain was inaugurated on May 22, 1762 in Honor to this antic acqueduct so called the pure “Virgin” water that blesses you as you drink it’s cold moutain fresh and clear water. 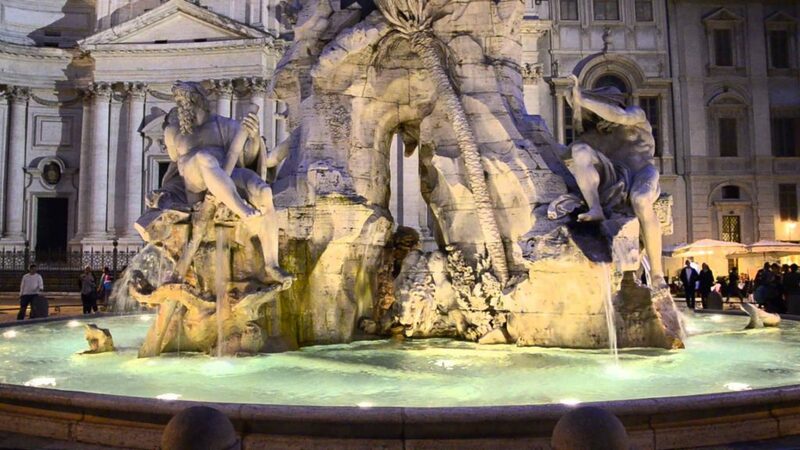 The legend tells that whoever throws a coin into the fountain, strictly behind his sholder, will return to Rome! So throw your coin so we can have you back soon again to so you and have you experience even more of this bella Roma and other marvels of Italy ! And maybe you can find finally your real love or you can connected with him/her forever…You’re wondering why… Just few steps, near the fountain, unknown to most, there is a little drinking trough, known as the “Fountain of Lover”, linked to the concept of eternal love. Here you can drink this “magical” water and attempt your fate. Trevi’s Fountain is linked to many memories. It was the scene of one of the most famous and romantic scenes in film history. 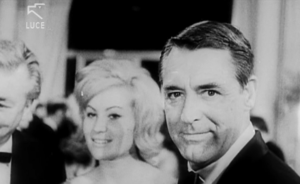 How unforgettable is Fellini‘s masterpiece “La Dolce Vita” and Anita Eckberg in a sinuous black dress dips into the fountain calling with her sensual voice Marcello Mastroianni. 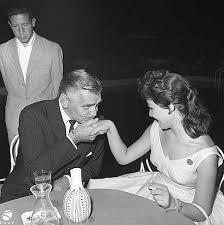 Close your eyes..Can you hear her call “Marcello Come Here ” ? But in 2016, the fountain was the stage of one of the events that will become part of fashion history. The historical roman fashion house, Fendi, decided to celebrate its 90th anniversary with the most breathtaking show ever. All the models walked on ethereal, translucent plexiglass runway stretched across Rome’s iconic Trevi’s Fountain. 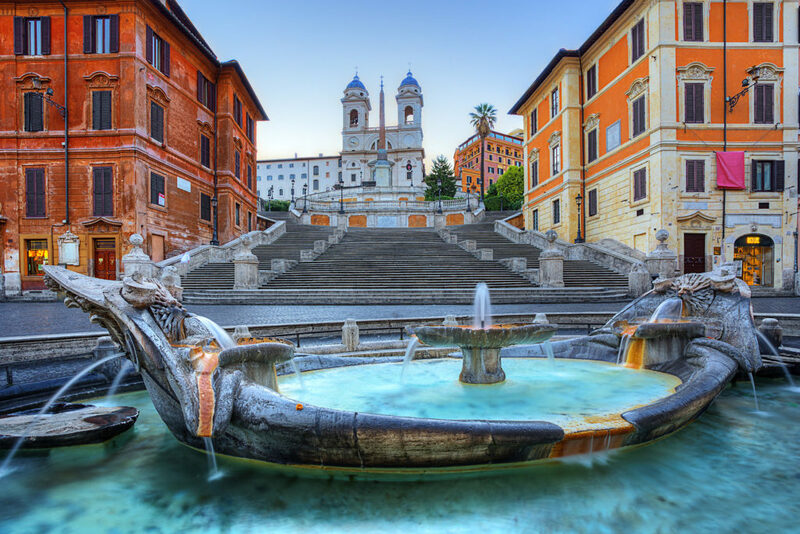 Let’s continue our special tour and let’s arrive into the beautiful setting of the Spanish Steps. No, it’s not the shopping windows that you have to pay attention to, but to the spectacular fountain in the centre of the square. It is called “La Barcaccia” fountain and it was built on behalf of Pope Urbano VIII Barberini between 1626 and 1629 century. The fountain was commissioned to Pietro Bernini, father of the more famous Gian Lorenzo Bernini, with whom he most likely collaborated. Its purpose was to adorn, with public fountain, the most important squares of the city crossed by the renovated Virgin Aqueduct (the aqueduct of all the fountains). According to a very roman popular version, the shape of boat recalls a boat found right there in the square, after a flood of the river Tiber in 1598. Bernini designed the fountain in the form of semi-submerged boat, inside an oval basin, just below street level with the stern and bow with identical shapes and two side mouths at the same height and little above the road surface. The real curiosity is that inside the fountain are carved the papal symbols (a bee), or the tiara and the coat of arms. Let’s finish our special tour about Roman fountains with Bernini’s first official commission for a public fountain, sculpted in 1643. 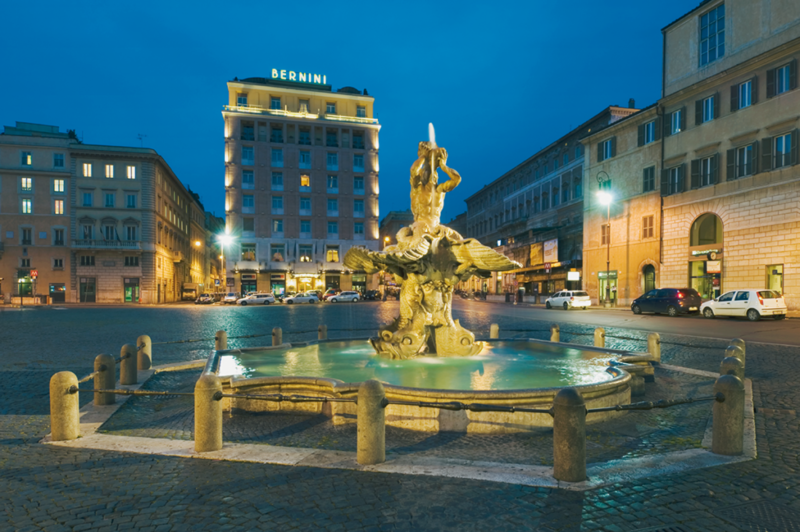 Here we are in the centre of Piazza Barberini, just few steps from the famous Via Veneto, the sparkling stage of La Dolce Vita era, and we are watching at Triton fountain. Represented on the valves of a huge shell, with upright and scaly legs of a sea monster, the Triton standing tall with his head tilted back in an effort to blow the great conch (or shell) supporting arms raised upward and which emits copious water that irrigates the whole work. The fountain’s purpose was to celebrate the proximity of the papal residence, reason why it contains many references to Urban VIII (such as the Barberini bees), patron of the masterpiece. While enjoying your walk admiring this great masterpiece of Roman fountains and by the enchanting atmosphere of this square, we will take you to see secerets very few know, and where few can enter, and to taste things that will have you never forget this wonderful tour to the most beutiful fountains in Rome.